She was a pioneer in trans and lesbian issues, workers rights, and intersectionality long before anyone could define the phrase. Her partner, Minnie Bruce Pratt, and family offered us this obituary. 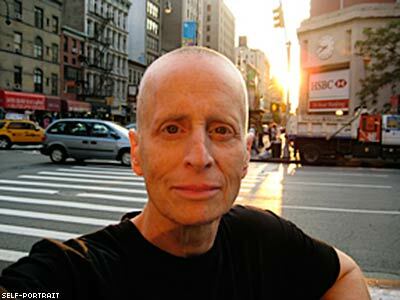 Leslie Feinberg, who identified as an anti-racist white, working-class, secular Jewish, transgender, lesbian, female, revolutionary communist, died on November 15. She succumbed to complications from multiple tick-borne co-infections, including Lyme disease, babeisiosis, and protomyxzoa rheumatica, after decades of illness. Feinberg was the first theorist to advance a Marxist concept of “transgender liberation,” and her work impacted popular culture, academic research, and political organizing. Her historical and theoretical writing has been widely anthologized and taught in the U.S. and international academic circles. Her impact on mass culture was primarily through her 1993 first novel, Stone Butch Blues, widely considered in and outside the U.S. as a groundbreaking work about the complexities of gender. Sold by the hundreds of thousands of copies and also passed from hand-to-hand inside prisons, the novel has been translated into Chinese, Dutch, German, Italian, Slovenian, Turkish, and Hebrew (with her earnings from that edition going to ASWAT Palestinian Gay Women). In a statement at the end of her life, she said she had “never been in search of a common umbrella identity, or even an umbrella term, that brings together people of oppressed sexes, gender expressions, and sexualities” and added that she believed in the right of self-determination of oppressed individuals, communities, groups, and nations. Feinberg was born September 1, 1949, in Kansas City, Missouri, and raised in Buffalo, NY, in a working-class Jewish family. At age 14, she began supporting herself by working in the display sign shop of a local department store, and eventually stopped going to her high school classes, though officially she received her diploma. It was during this time that she entered the social life of the Buffalo gay bars. She moved out of a biological family hostile to her sexuality and gender expression, and to the end of her life carried legal documents that made clear they were not her family. Discrimination against her as a transgender person made it impossible for her to get steady work. She earned her living for most of her life through a series of low-wage temp jobs, including working in a PVC pipe factory and a book bindery, cleaning out ship cargo holds and washing dishes, serving an ASL interpreter, and doing medical data inputting. In her early twenties Feinberg met Workers World Party at a demonstration for Palestinian land rights and self-determination. She soon joined WWP through its founding Buffalo branch. After moving to New York City, she participated in numerous mass organizing campaigns by the Party over the years, including many anti-war, pro-labor rallies. In 1983-1984 she embarked on a national tour about AIDS as a denied epidemic. She was a key organizer in the December 1974 March Against Racism in Boston, a campaign against white supremacist attacks on African-American adults and schoolchildren in the city. Feinberg led a group of ten lesbian-identified people, including several from South Boston, on an all-night “paste up” of South Boston, covering every visible racist epithet. Feinberg was one of the organizers of the 1988 mobilization in Atlanta that re-routed the white supremacist Ku Klux Klan as they tried to march down Martin Luther King, Jr. Ave., on MLK Day. When anti-abortion groups descended on Buffalo in 1992 and again in 1998-1999 with the murder there of Dr. Barnard Slepian, Feinberg returned to work with Buffalo United for Choice and its Rainbow Peacekeepers, which organized community self-defense for local LGBTQ+ bars and clubs as well as the women’s clinic. A WW journalist since 1974, Feinberg was the editor of the Political Prisoners page of Workers World newspaper for 15 years, and became a managing editor in 1995. She was a member of the National Committee of the Party. From 2004-2008 Feinberg's writing on the links between socialism and LGBT history, "Lavender & Red," ran as a 120-part series in Workers World newspaper. Her most recent book, Rainbow Solidarity in Defense of Cuba, was an edited selection of that series. 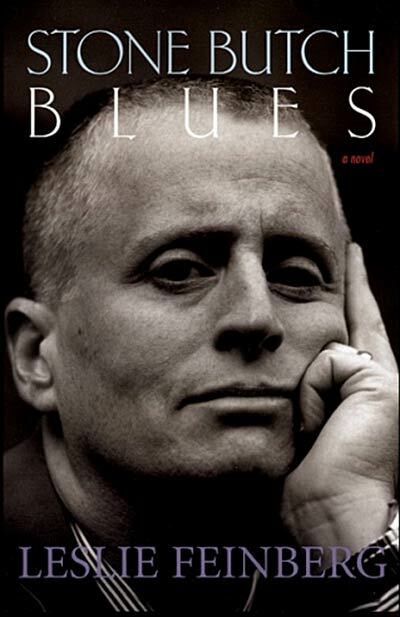 Feinberg authored two other non-fiction books, Transgender Warriors: Making History and Trans Liberation: Beyond Pink or Blue, as well as a second novel, Drag King Dreams. Feinberg was a member of the National Writers Union, Local 1981, and of Pride at Work, an AFL-CIO constituency group. She received an honorary doctorate from the Starr King School for the Ministry for her transgender and social justice work, and was the recipient of numerous other awards, including the Lambda Literary Award and the American Library Association Gay and Lesbian Book Award. During a period when diseases would not allow her to read, write, or talk, Feinberg continued to communicate through art. Picking up a camera for the first time, she posted thousands of pictures on Flickr, including “The Screened-In Series,” a disability-art class-conscious documentary of her Hawley-Green neighborhood photographed entirely from behind the windows of her apartment. At the time of her death she was preparing a 20th anniversary edition of Stone Butch Blues. She worked up to within a few days of her death to prepare the edition for free access, reading, and download from on-line. In addition to the text of the novel, the on-line edition will contain a slideshow, “This Is What Solidarity Looks Like,” documenting the breadth of the organizing campaign to free CeCe McDonald, a young Minneapolis (trans)woman organizer and activist sent to prison for defending herself against a white neo-Nazi attacker. The new edition is dedicated to McDonald. A devoted group of friends are continuing to work to post Feinberg’s final writing and art online at Lesliefeinberg.net. Feinberg’s spouse, Minnie Bruce Pratt, an activist and poet, is the author of Crime Against Nature, about loss of custody of her sons as a lesbian mother. 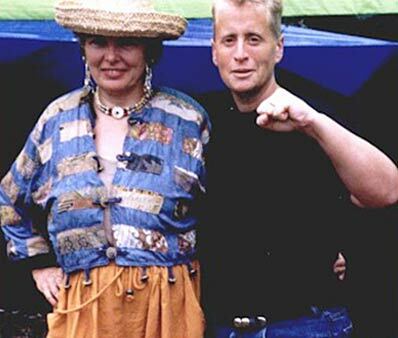 Feinberg and Pratt met in 1992 when Feinberg presented a slideshow on her transgender research in Washington, D.C., sponsored by the local Workers World branch. After a long-distance courtship, they made their home for many years in Jersey City, NJ, where, to protect their relationship, the couple domestic-partnered in 2004 and civil-unioned in 2006. They also married in a civil ceremony in Massachusetts and in New York State in 2011. Feinberg stressed that state authorities had no right to assign who were or were not her loved ones but rather that she would define her chosen family, citing Marx who said that the exchange value of love is — love. Feinberg is survived by Pratt and an extended family of choice, as well as many friends, activists, and comrades around the world in struggle against oppression and for liberation. EDITOR'S NOTE: Though we have often used "he" in reference to Feinberg at The Advocate, we recognize that this obituary was written by Feinberg's wife, Minnie Bruce Pratt, while at the author's bedside. Thus we are using her preferred pronouns here, despite our previous reporting.